Just a quickie today- Disorder by Aurora clocks in at a brief 53 seconds. A jazzy 53 seconds at that. Florida-based Amable has been dishing out the wonky future-beats for a-while now and he’s stepping up his game to vinyl. Not just any vinyl though; the man has a dream- nearly as big as Martin’s- for the coolest looking transparent blue 7-inch, cut to the edges with two beats per side. It is all being funded via a Kick-stater project, and you can pledge towards the release for the promise of a copy in-return. Check out our interview with Amable from a-while back. 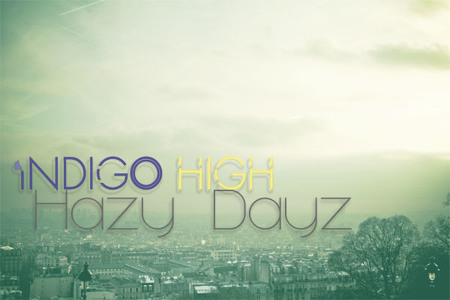 Indigo High with some proper decent acid jazz out of Chicago. Just listen to those keys.